Although I am not a watch enthusiast, I have a soft spot for smartwatches. They have tons of features that ordinary wristwatches don’t have and as a techie, I think they look way cooler than your average watch. Since 2011, I realized I have not been using my conventional wristwatches that they are already gathering dust in my closet. The reason? I bought my first smartwatch that year - the Motorola MOTOACTV. For $300, I got a brand new Motorola MOTOACTV and wearing it felt like having the most awesome watch in the world. 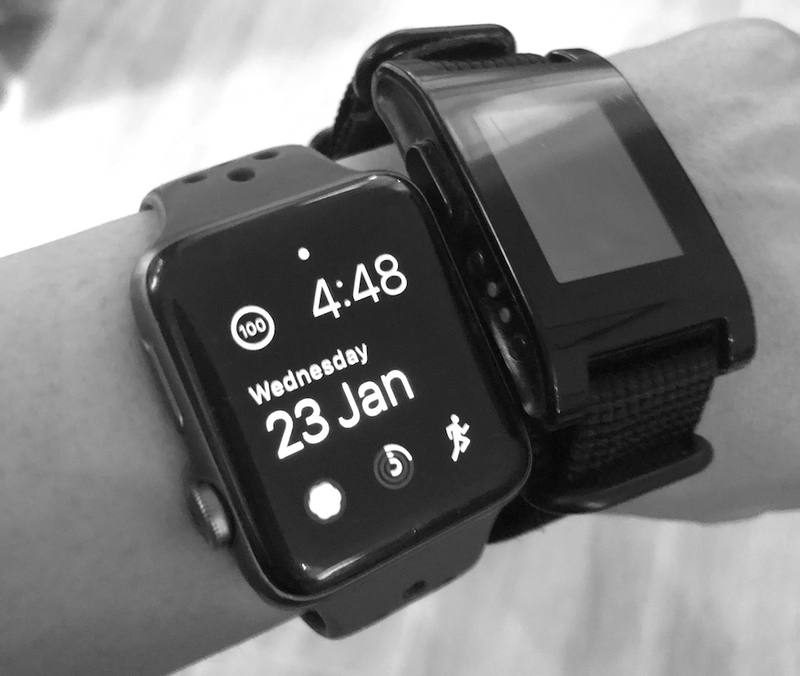 At that time, smartwatches are not yet popular but I enjoyed using it because it has features that I thought was ahead of its time. 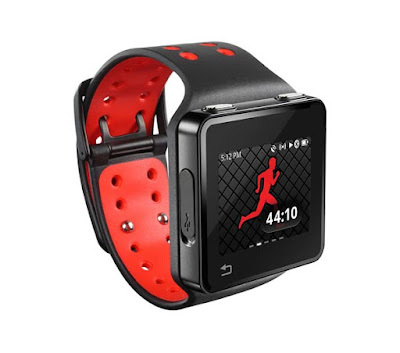 Powered by Android, it features built-in fitness apps, accelerometer, Bluetooth, music player, FM tuner, capacitive multitouch LCD display, ANT+ for connectivity to fitness sensors (eg. heart rate sensor) and has the capability to connect to smartphones to display calls and text messages. Although I love the MOTOACTV, it was far from perfect. In terms of design, it looks bulky and there was really no room for customization. As for the software, it was stable at first but was later on plagued with buggy updates. It was also not as durable as I thought it would be since it was made by Motorola. It took just one waist-high drop that shattered the LCD display of my MOTOACTV, and so I was quickly in search for my next smartwatch. For around $100, I got the very first version of Pebble. Considered at that time as the most funded project in Kickstarter history, I never regret purchasing that smartwatch. The original Pebble had some of the features that I want such as Android and iOS app support, notifications (calls, texts, emails), water resistance, “always on” display, 7-day battery life, and array of sensors (magnetometer, accelerometer, ambient light). One of the best things about the Pebble was its app store that contains tons of free downloadable applications and watch faces. 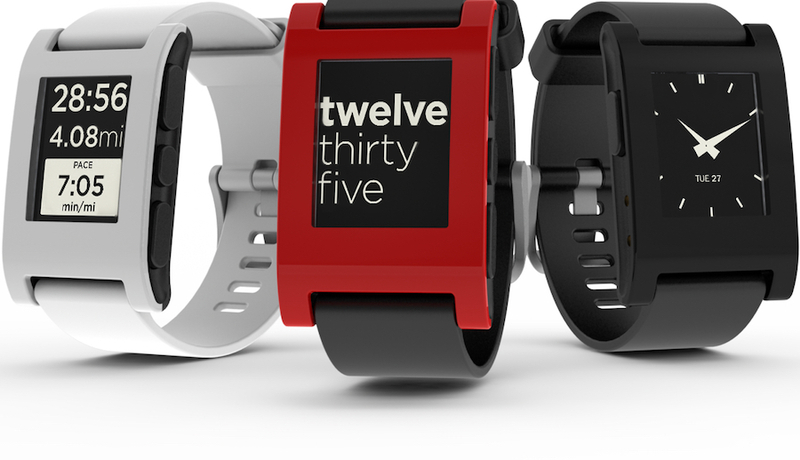 In terms of design, the Pebble looks plain and simple but you can customize it by replacing the 22mm wrist strap or using some skins to cover the bezel. The Pebble was definitely better than the MOTOACTV but it also had some crucial issues. I’ve been using it for around 3 years and had experienced several buggy software updates that became really annoying. The most recurring issue I’ve encountered was constantly losing connection to my phone hence the notifications feature was a hit or miss. In addition, the first version of Pebble had no built-in GPS and heart sensor, which for me was a major caveat since I’m a fitness buff. Lastly, although it can control the music from a connected smartphone, it didn’t have a stand-alone music player like the MOTOACTV. Using it on a daily basis, my Pebble looks good as new even until today so there is no question about its durability. I just got tired of the look and its limitations so I decided to hunt for my next smartwatch. In September 2016, Apple released the Series 2 version of their smartwatch. Aimed at enhancing the iPhone experience, I considered the Apple Watch way better than the MOTOACTV and two steps ahead of the original Pebble. For around $400, I bought the Series 2 (aluminum, space grey, Nike+) in January 2017 and I’ve been using it almost every single day since then. 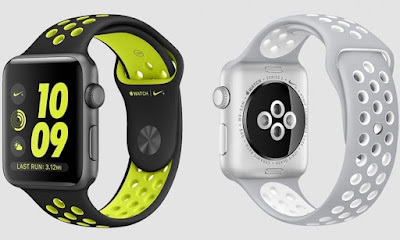 The first thing I liked about the Apple Watch is its sleek and highly customizable design. I bought a few cases for protection and plenty of bands (wrist straps) for styling and comfort. After constant usage, I begin to appreciate the Apple Watch for its stable hardware and software integration. Connecting to my iPhone is a breeze and it runs flawlessly that I didn’t have to worry about not receiving important notifications. I think this is the main reason why I’m still using this smartwatch. Although the Apple Watch Series 4 has been released in 2018, I didn’t find it necessary to upgrade as my Series 2 still serves its purpose well, and looking at the features of the latest Apple Watch, it didn’t tick any of the wish list I wrote above. My Apple Watch is my constant and reliable companion. I regularly use the Breathe app when meditating, the built-in fitness app when swimming, running, cycling, weight lifting, or doing yoga, and the stand-alone music app when playing music on my AirPods. I also heavily rely on its notifications feature for calls and SMS. The Apple Watch can do all those things while looking sleek and of course showing me what time it is. These days, there are still a lot of people who are using traditional watches compared to those who are using smartwatches. I think this is mainly because ordinary watches are more convenient to use for non-techies, as they are easy to set up and don’t have to be charged all the time. As for me, I will probably stick to wearing smartwatches until my heart rate per minute goes zero. Thank you. Planning to develop apps for Android so I may buy one soon.